Critics of the Production Tax Credit have been citing a report from the Congressional Joint Committee on Taxation that claims there is a direct cost to the taxpayer of $13.8 billion over five years as a result of the wind tax credit. WHAT MOST PEOPLE DON’T KNOW is that this estimate was calculated — according to the Congressional Research Service — by calculating the “foregone tax revenue” from wind farms that are currently receiving the credit. This estimate was based on the assumption that wind farms would be paying more taxes if they had not received the PTC. This is a completely false assumption and I am astonished that the American Wind Energy Association has not done more to refute the estimate. Had these wind farms not received the PTC, they would likely not have been built in the first place, as evidenced by the 92% drop in new wind farm starts since the PTC expired in 2013. Without the tax credit, NO wind farms would have been built and that means there would have been NO tax revenue at all. A wind farm can produce between $2 million and $10 million in annual income, and owners do pay taxes on that income, albeit at a reduced rate due to the PTC. But taxes ARE paid by these wind farms and throughout the entire supply chain that supports them. Thus, the PTC is IN FACT a tax revenue GENERATOR. There is NO cost to the taxpayer as a result of the PTC. There certainly IS a direct cost to the taxpayer (in terms of foregone revenue) for every wind farm that is not built but would have been if the PTC had been extended for the long term. It’s time to make noise. The American Wind Energy Association should sharpen its message and drive the point clearly that the PTC generates tax revenue by promoting the development of wind farms and suppliers that pay taxes. Without the PTC, this important tax revenue from wind simply evaporates. Ask your friends what they think the success of renewable energy would look like to them. I expect many of them would say that once the cost of renewable energy is reduced to the same level as fossil energy, then renewables would be considered successful. Are fossil fuels really the benchmark for renewable energy? We seem to be saying that the most important consideration for renewable energy is that the price must compete favorably with coal and natural gas. Is that really the most important consideration? Consider the now-indisputable fact that May and June were the hottest months in recorded history…worldwide. Consider that atmospheric and ocean surface temperatures have increased steadily over the last 25 years, and have moved dramatically upward over the last few. Then consider that methane hydrate deposits on the sea floor are now destabilizing, hovering just at the temperature that keeps methane from dissolving into the atmosphere. One more degree upward will start the unstoppable process of melting. As the Intergovernmental Panel on Climate Change has been warning for years, the gargantuan amount of barely-frozen methane in the sea is the trigger that ends the game for all of us. Once this methane begins to release into the atmosphere, it will drive global temperatures higher faster than we can possibly prevent. Game over, as they say, for life as we know it. The very latest studies now suggest that the Earth’s sixth major extinction event may have already begun, and we’re causing it. The most recent extinction event – the fifth one that occurred sixty five million years ago – killed all the dinosaurs and 75% of all the species on Earth. We know that that event was caused by an asteroid impact. The event before that – the fourth one that occurred 200 million years ago – was caused by rising CO2 levels in the atmosphere. That CO2-related extinction event was worse than the asteroid impact and it took far longer for the Earth to recover. If there’s any good news, it is that the sixth major extinction event may still be preventable with conservation and by aggressively replacing fossil energy with clean renewable energy technologies. So ask yourself, what would you use as a benchmark to measure the success of renewable energy? Would it be our ability to sell renewable energy below the cost of fossil energy? Or perhaps it’s time we all realized that our planet is worth saving atany cost? I’ve spent the last couple of weeks trying to understand what may be the most outrageous case of cognitive dissonance in human history. 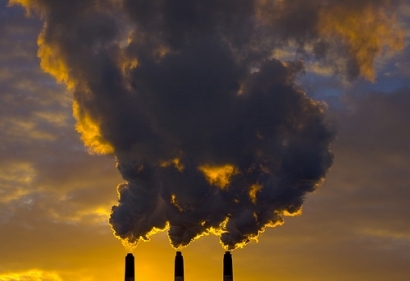 If you missed it in the news, the NOAA-operated Mauna Loa Observatory in Hawaii reported that CO2 levels have reached 400 parts per million for the first time in more than 800,000 years. The report went on to say that the last time CO2 was at 400 parts per million, humans didn’t even exist. Articles I’ve read on the topic speak of how we are now certainly past the tipping point. There are expressions being used such as “game over,” “dire situation” and “point of no return” along with predictions of the northern ice cap being completely gone in the next several years and global sea rise approaching eight feet or more in the next 25 years. Yet, when I look at today’s online news sources, the leading stories are: Police name suspect in New Orleans’ parade shooting; 3-man crew returns safely to Earth from International Space Station; UN Security Council condemns deadly car bombing in Benghazi; Syria wants details before deciding to attend peace conference; The Shore gets ready for Prince Harry; Both Sides Condemn Convicted Pa. Abortion Doctor; Samsung Advances Toward 5G Networks. To find any news about climate change, you would have to go to the Science News section. And here’s where I find the cognitive dissonance. If it really was “game over” for the way we all live our lives, if the sea really was going to rise as much as eight feet (which would destroy Houston, New York City, Los Angeles, San Diego, Miami, New Orleans (again), Washington D.C., Boston, and also Amsterdam, Dubai, Alexandria, Cairo, Copenhagen, Singapore, Melbourne and Sydney and nearly every other coastal city on Earth), don’t you think it would be the leading story in the news every day, seven days a week? If a clear and present threat to billions of people worldwide really did exist, would the news agencies continually shuttle this information all the way back to the Science section – perhaps one of the least-read sections of the news? Wouldn’t this at least be the leading World News story? I’ve tried to draw a comparison with the amount of news coverage given to other important issues of global significance in the past. For example, when the Allies were fighting in Europe during WWII, practically every newspaper in the world carried the news of each day’s war events right on the front page. Many major newspapers continued the war story to the inside pages along with related human-interest stories…day after day, month after month. And with so much news about the war being consumed daily, people couldn’t help but believe that the war was very important – clearly, it was the most important story of the time. Today, news agencies are giving climate change about the same level of coverage they give to the political unrest in Syria. Is it any wonder that news about the catastrophic impact of climate change is being received by the public with skepticism? At the same time, a recent study showed that out of nearly 12,000 peer-reviewed scientific papers on climate change, only 84 of them disagreed with the vastly supported conclusion of the scientific community. Hardly any scientific conclusion…ever…has been supported by such a consensus among experts. I believe we all must feel some sense of this dissonance. If people are ever going to unite behind the effort it will take to reduce the level of greenhouse gases in the atmosphere – and any solution is going to require massive global cooperation – it will only come after a purposeful and prolonged campaign by the mainstream media to inform the world. Until this happens, and as long as a few climate skeptics along the fringe continue to be given the headlines for their self-aggrandizement, we will continue to make little progress. The election is over, the continuation of the Production Tax Credit is now a foregone conclusion, but there’s a lot of work to do still. With a lame duck congress, it will be an uphill battle to get this done by the end of the year. But the current strategy of time-limited extensions to the PTC is too…well, arbitrary. There is no planning behind the timetable, and the approach doesn’t result in the achievement of any specific goal. The on-again-off-again uncertainty of this approach makes it a very chaotic incentive for the investment world, and this creates an obstacle to the very purpose of the incentive — to encourage commercialization. So I want to propose a better – much better – approach. The Department of Energy, in their now famous “2030 Report”, established a clear stretch goal for the wind industry. 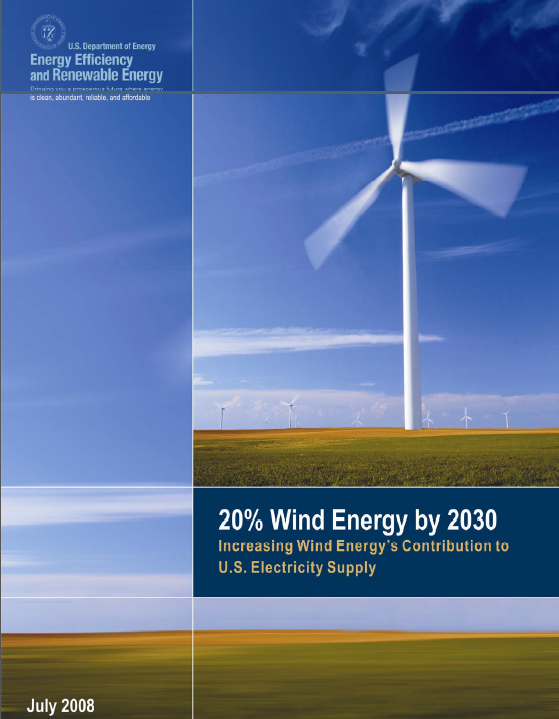 The report carefully looked at all of the implications of achieving 20% of the nation’s electrical power from wind energy by the year 2030. Ambitious, to be sure. We know that to achieve that goal the industry would have to step up to a level of manufacturing, training, planning, permitting and installation never before achieved anywhere in the world. I won’t go into the numbers here, but it would require an enormous amount of new effort in a relatively short time. But, let’s use the report as a goal (because it was very thoroughly studied), and let’s align the tax incentive to the meaningful pursuit of that goal. So, rather than arbitrarily limiting the PTC to one or two or five years, let’s rewrite the PTC to remain in place until a certain level of capacity is achieved. If our national goal is 20% wind, then write the PTC to remain in place until we achieve 20%, or some significant portion of that. The biggest advantage of this approach is that we can all calculate pretty easily how much domestic manufacturing we can create with the assured certainty of this tax incentive. If the industry knows that the PTC will provide a reasonable profit margin for some number of megawatts of new wind energy, then it will be a pretty simple investment calculation to know how many turbines will have to be manufactured, how many factories will be needed throughout the entire supply chain to build them, and most importantly how many skilled jobs this will create. The DoE report detailed all of this very thoroughly. What I propose is a more sensible PTC that is better aligned with the nation’s priorities. The government shouldn’t offer incentives that are established against meaningless deadlines, but should rather establish incentives that support a plan to achieve a measurable outcome. In this way, the eventual retirement of the incentive will always be known and will not come later as a surprise. I would like to urge the American Wind Energy Association to consider this approach as they lobby Washington for the next PTC extension. Now is the time to contact your representatives and propose that the PTC be rewritten in this way. With the 2012 US Presidential election coming this fall, we can be sure that one of the topics being debated will be what to do about energy. The debate will include issues related to coal and “clean coal”, natural gas and fracking, risks of nuclear accidents, domestic oil drilling and its impact on the environment, and of course, renewables. All of the above. I want to focus mainly on wind energy, and debunk some of the most common myths that are being sold today. Hopefully, this will give you what you need to formulate an informed opinion as you listen to the upcoming debates. 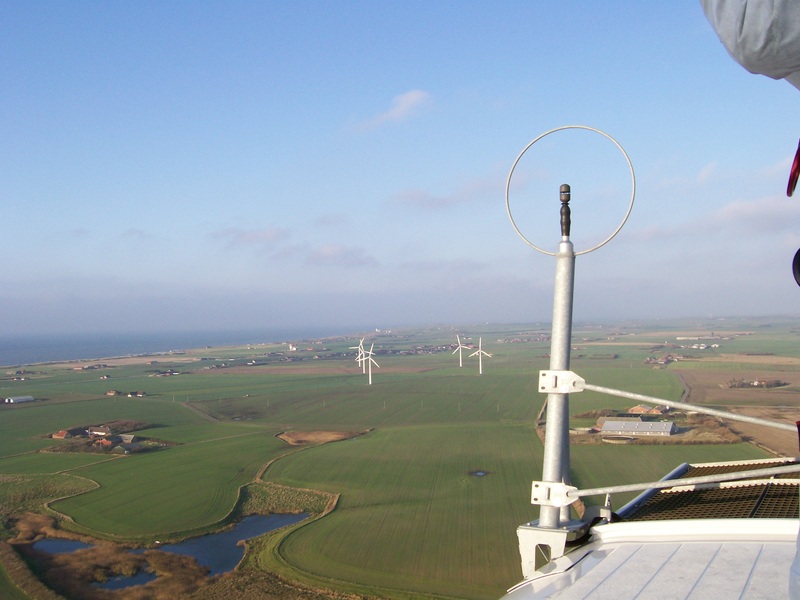 This is a photo I took while standing on top of a 3 MW wind turbine in Denmark. The coast line for the North Sea is in the background. Click to enlarge. Myth No. 1: Wind energy is not commercially viable without help from the tax payers. This is perhaps the most common myth about wind energy. This claim rests on the idea that the federal government must provide money to the wind producers in order to make the business profitable. Many argue that we can no longer subsidize wind energy while our nation is so far in debt. It is true that up until the financial collapse in October of 2008, wind enery was more expensive than fossil fuel energy. But this has changed. The price per kilowatt-hour of wind energy has fallen year after year for many years. This is due to many factors, but the market has driven down the price. The American Wind Energy Association, which monitors all aspects of wind generation, claims today that the average price of wind energy is about 6 cents per kilowatt-hour, which is nearly the same price for energy that comes from a combined cycle natural gas plant. 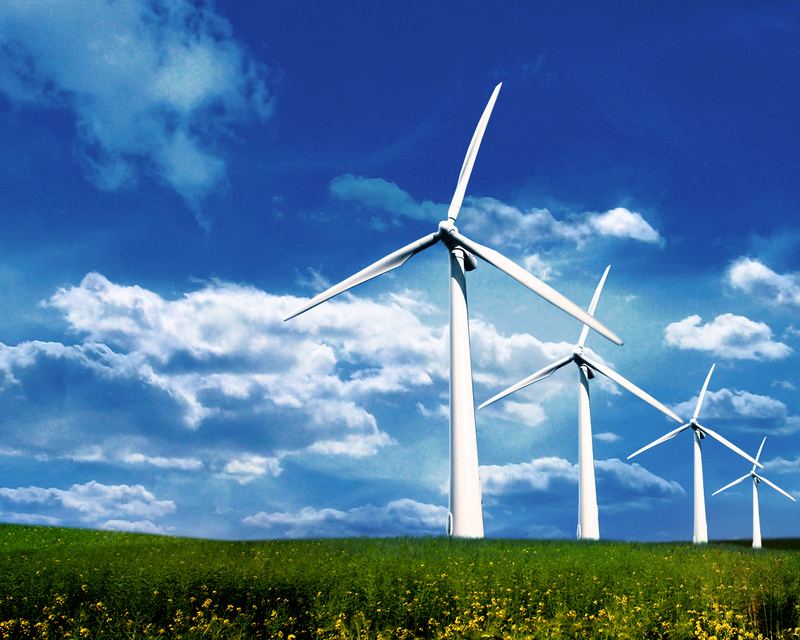 The group says wind energy is actually about 2 cents cheaper than coal-fired electricity. The question then arises, if the cost of wind energy is on par with other resources, then why must we continue to provide government support? The answer is simple. While the price of energy is on par, the profit margins are not. Not yet, anyway. Natural gas and coal producers enjoy the benefit from having very mature and cost-efficient supply chains that allow for healthy investment returns. Wind energy producers are still working hard to build the necessary supply chains and put the statutory regulations in place that will make wind energy as profitable as other resources. Until this is completed, tax incentives will be necessary to increase the profit margins enough to attract investors. But this is an important point. The Production Tax Credit is not a subsidy, and should not be viewed as one. A subsidy would be money that the government gives to wind producers — money that comes from pockets of the tax payers. The PTC is a tax credit, meaning that the wind producer has to produce the money himself and is able to pay a slightly lower tax rate, which increases his profit margin. The PTC currently allows a wind producer to keep 2.2 additional cents of the revenue he generates from each kilowatt-hour for the first 10 years of production. After ten years, the tax rate returns to normal. So money never flows from the taxpayer’s pocket to the wind producer, rather the wind producer pays taxes to the government at a slightly more attractive rate on the income he generates himself. Clearly not a subsidy. I have argued many times that the PTC, in fact, is a tax revenue generator. History has shown that in each year when the PTC has been allowed to expire, there have been no new wind farms installed because the business model isn’t yet profitable enough for investors to take an interest without the profit margin that’s created by the PTC. This means that the tax revenue that the new wind farm could have produced, at only 2.2 cents below the standard tax rate, dropped all the way to zero because the wind farm didn’t get built. I would say that some tax revenue is better than no tax revenue at all. I worry about the looming expiration of the PTC this year, particularly. In the past, wind turbines were imported from Europe. So when the PTC expired, we stopped buying turbines from overseas. Today, however, wind turbines are manufactured in the US. So this time if the PTC expires, American factories will close, creating an even greater manufacturing gap between the US and other countries. Extending the PTC is an obvious no-brainer. Myth No. 2: Wind energy is intermittent — it doesn’t work when the wind doesn’t blow. This is obviously a true statement, but also misleading in the way it’s commonly applied. Of course, if the wind doesn’t blow then there is no energy produced. Critics claim that this intermittency means we can never rely on wind energy for a substantial portion of the base load. Yet Germany, Denmark, Scotland and the UK, and other European countries are expanding their own wind energy generation to provide 50% or more of their base load. Why do the Europeans not have the same challenges that prevent the US from adopting more wind energy into the base load? Do they have steadier wind? No, they have no better wind resources than the US does. But the Europeans have figured out that when the wind stops blowing in one location, it doesn’t necessarily stop blowing in all locations — the wind is always blowing somewhere. The same is true in the US. But in the US, the tendency is to put large numbers of wind turbines all in one place. So, if you install 200 megawatts of wind turbines in one location, then you lose all 200 megawatts of the base load when the wind stops blowing. This creates havoc with the grid operators, and this is why critics cry about intermittency. In Europe, however, wind turbines are distributed. Driving around Germany, for example, it is common to see five or six turbines in one location, seven or eight turbines several miles down the road, four or five further on, and so on. As you drive around, you are always passing small numbers of turbines, some turning and some not, depending on where the wind is blowing. When the wind stops at one area, wind turbines in other areas are still producing power. This means that some portion of the base load is always being produced by wind. Over the years, as confidence has grown in this distributed model, more and more of the European base load has been transitioned to wind energy with more of the base load being planned for the future. Much more. An added advantage of distributing wind turbines is that grid connection is cheaper and easier. Large wind farms require very robust connections to the grid, and these connections become limiting factors to the amount of energy that can be produced. By distributing turbines around the region, smaller grid connections can be made that do not require large expensive substations and grid redesign efforts. So, while this myth carries some element of truth, there are very practical ways to overcome the problem of intermittency. Myth No. 3: The noise!!! I have heard many claims about wind turbine noise. Some people complain about never-ending headaches, inability to sleep, and inability to concentrate. Some have even complained about the noise from turbines disturbing their livestock, keeping cows from producing milk and chickens from producing eggs. Myth No. 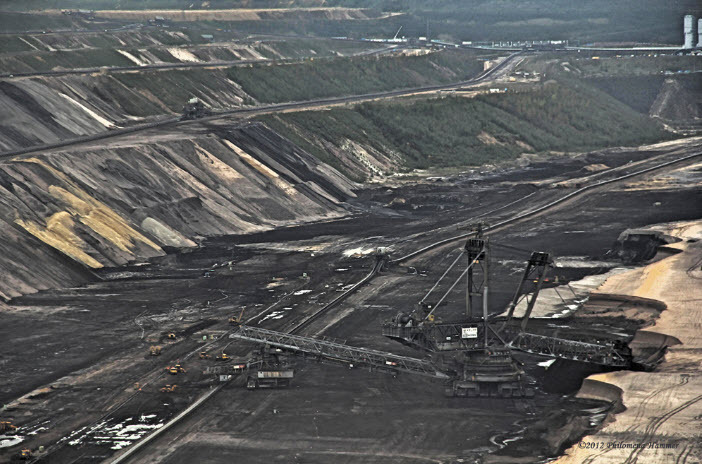 4: The rare earth elements needed to produce magnets for wind turbine generators require the same mining operations that coal does, which has an equally bad impact on the environment. Also, these elements are rare, so there is not enough of them to produce all the turbines we would need. Actually, these are both completely false claims. But, frankly, I hope this issue becomes a larger part of the debate. We have known for years that there is going to be a problem — not because neodymium and dysprosium are rare, but because China has been nearly the only producer of these elements, so they can manipulate the price. By the way, these elements were named “rare earth elements” before they were later found in abundance but the name stuck. They are not rare at all and are found today nearly everywhere. The US has plenty of neodymium and dysprosium reserves, so we can produce these materials ourselves if we choose to. Now, to keep this in perspective, consider that it takes roughly 1,300 lbs of neodymium and dysprosium to manufacture the magnets for a permenant magnet generator for a wind turbine. That 1,300 lbs of material will keep producing enough electricity to power all of the lights, appliances, electronics, heat and air conditioning for approximately 1,000 homes for 20 years. That 1,300 lbs of material is never “consumed” but is put to use continually and can be recycled again at the end of the turbine’s 20-year life and put to use again. Contrast that with coal. It takes more than 714 lbs of coal to power just one 100 watt light bulb for one year. The coal used to power that one light bulb is consumed and must be replaced with another 714 lbs of coal for the second year. And so on. That adds up to 14,280 lbs of coal to power just one light bulb for 20 years. So while production of permanent magnets does require mining, it is a much more sustainable form of mining because the material removed from the earth is never consumed. I believe I will go with wind energy. Myth No. 5: Wind turbines kill large numbers of birds. Earlier models of wind turbines were relatively small with blades that turned at a much faster rotational rate than today’s larger multi-megawatt machines. Those smaller fast-moving blades were a challenge for birds and collisions did occur. The frequency of bird deaths at wind farms used to be around 10,000-40,000 bird deaths per year. Those were a lot of bird deaths, to be sure, but many fewer than the estimated 40 million bird deaths per year caused by impacts with fast-moving cars on interstate highways. Today, however, the larger wind turbine blades move much slower and have become a much smaller risk for birds resulting in rare occurrences of deaths. — I hope this information was helpful. The debate over energy is one of the most important debates of all. Please take just five minutes to let your elected representatives know how you feel about wind energy. Just drop them an email demanding that the PTC be extended for five years. I’ve been told that it only takes about a dozen concerned citizens to get a representative’s attention. So your email or phone call really can make a difference. Please feel free to copy and paste any of this material if you can use it. And, of course, your comments or emails to me are always welcome. You can reach me directly at wally.lafferty@yahoo.com.